I am often asked to review products, and I usually forget to respond to those requests (sorry PR people!). 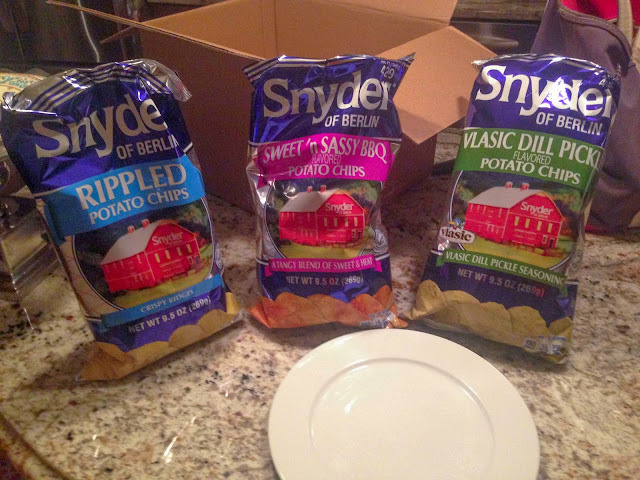 However I DO love some chips, and Berlin, Pennsylvania holds a special place in my heart (I ate a sandwich there once), so Snyder of Berlin was too good to pass up. 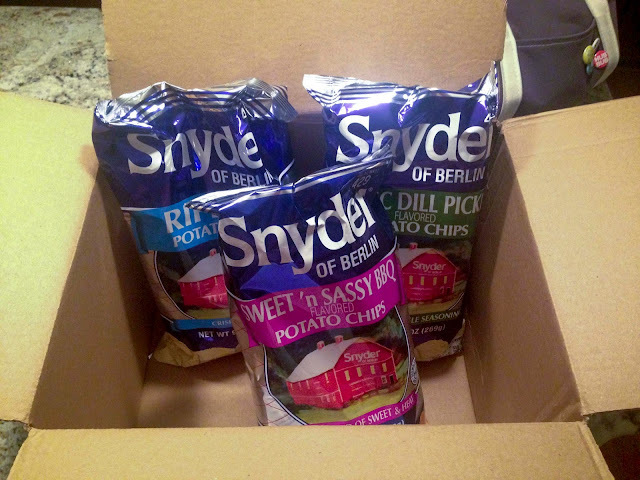 I received a large box, with three bags of chips inside. Rippled, BBQ, and "Vlasic" dill flavored chips were my fodder for this post. They've recently revamped their packaging to more accurately reflect their love of all things Americana. Pretty cool. Unfortunately they got a bit crushed in transit (not Snyder's fault). Initial results were as to be expected – I liked the "Sweet and Sassy" BBQ best, followed by dill, and finally the ruffled. Nothing wrong with ruffled, but I like the flavor to punch me in the gullet. And I didn't have any time to whip up my famous French onion dip, so they were sort of at a loss. 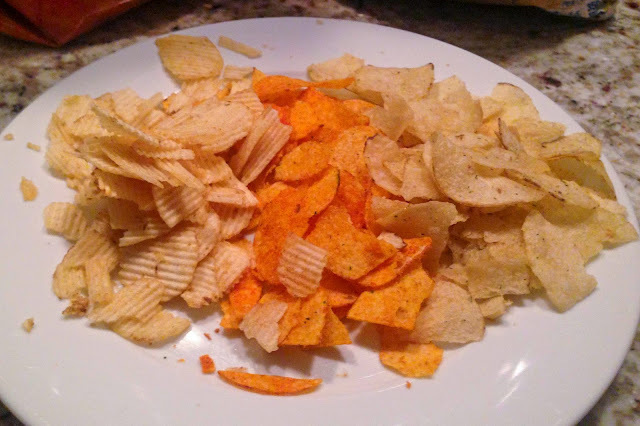 I decided to eat the dill pickle version on their own, while pairing the ruffled and BBQ with a sandwich. The dill had a tart and salty flavor, much like the fermented cukes they were based off of. 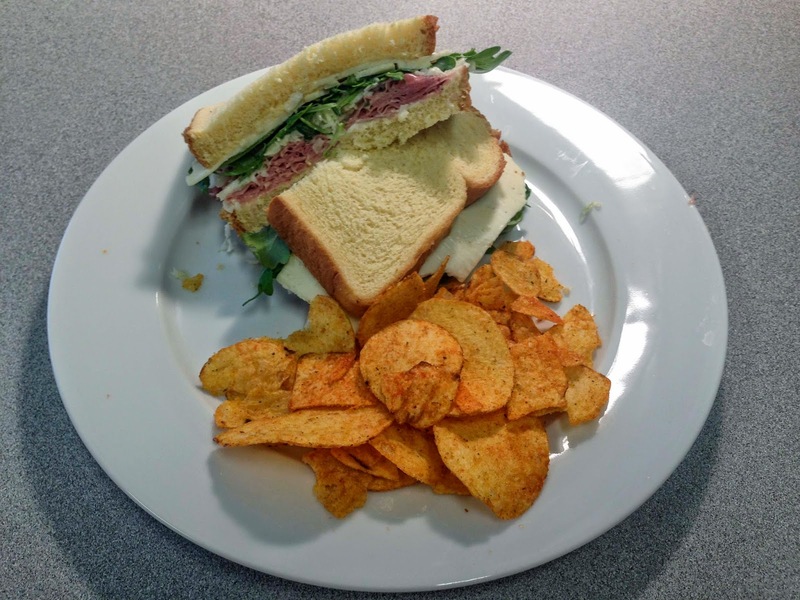 The ruffled were good for an over-the-top sandwich, and took the place of potatoes with my breakfast club riff. 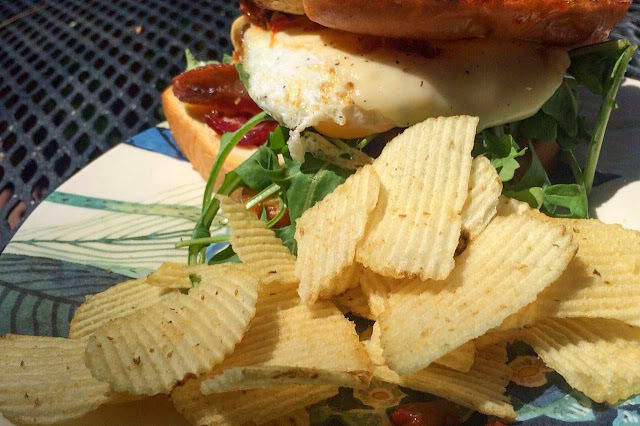 Fried egg, arugula, bacon, and hot pepper relish, with some salty crisp chips to sop up the yolk. Pretty delicious. The BBQ were put to task complementing my corned beef sandwich another afternoon. 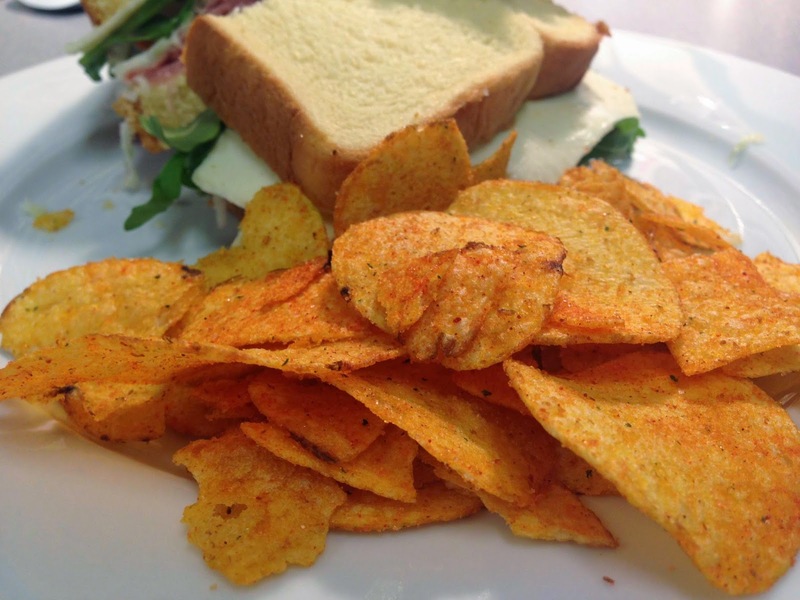 They're not kettle cooked, but they have good texture and really addictive flavoring. Sweet, tangy with pops of fresh parsley flavor, these were definitely the best. 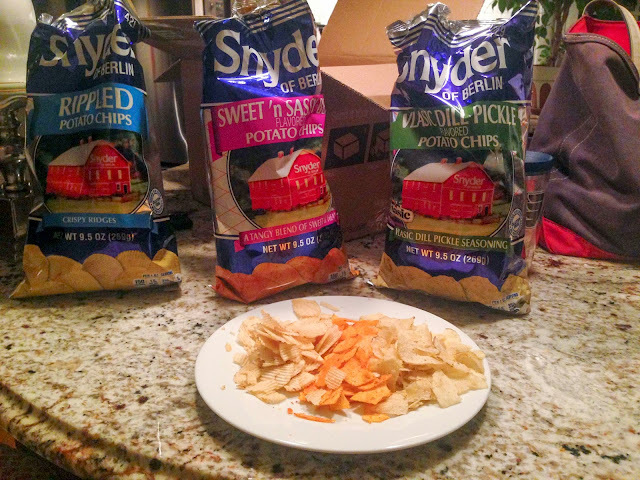 Next time you're in the west-central PA area, grab a bag and see for yourself.